For some people, four years of college just aren’t enough. There are many reasons a graduate degree can be helpful — including higher average salaries — and those willing to put in the extra time are often rewarded in the long run. “I think students today are increasingly aware that the more education you receive, the higher your pay will be down the road,” said Emilia Hodge, graduate-education outreach director for the University of Florida’s graduate school, according to the Treasure Coast Palm. 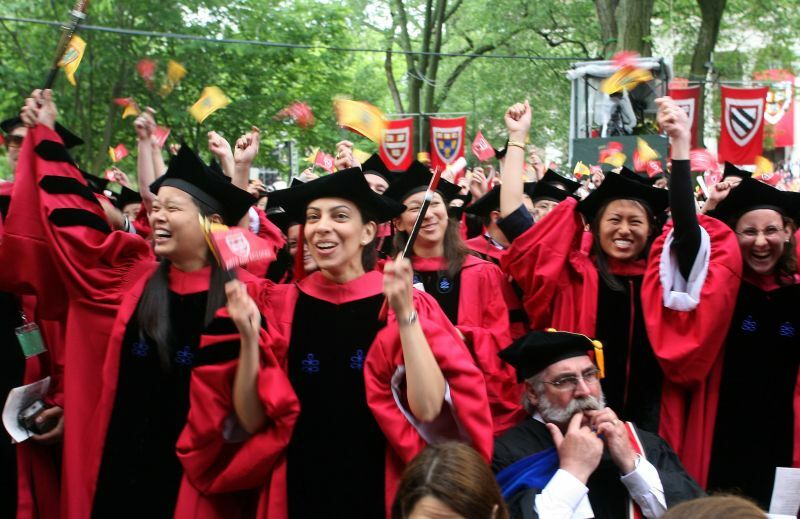 Despite this, there are still ample jobs available to graduates who don’t pursue grad school. With this in mind, CareerTrends — part of the Graphiq network — found the highest-paying jobs that don’t require a graduate degree. To do this, we used the most recent data from O*NET, an occupational database sponsored by the U.S. Department of Labor, to find occupations where the majority of workers did not require master’s or doctoral degrees. We used the most recent data from the Bureau of Labor Statistics to find each occupation’s average salary and job description, and ranked the top 10 jobs based on average salary. The jobs on the list all require a bachelor’s degree, and all have average salaries over $120,000. Job description: Plan, direct or coordinate compensation and benefits activities of an organization. Job description: Plan, direct or coordinate the actual distribution or movement of a product or service to the customer. Coordinate sales distribution by establishing sales territories, quotas and goals and establish training programs for sales representatives. Analyze sales statistics gathered by staff to determine sales potential and inventory requirements and monitor the preferences of customers. Job description: Direct financial activities, such as planning, procurement and investments for all or part of an organization. Job description: Pilot and navigate the flight of fixed-wing, multi-engine aircraft, usually on scheduled air carrier routes, for the transport of passengers and cargo. Requires Federal Air Transport Pilot certificate and rating for specific aircraft type used. Job description: Plan, direct or coordinate activities in such fields as life sciences, physical sciences, mathematics, statistics and research and development in these fields. Job description: Plan, direct or coordinate marketing policies and programs, such as determining the demand for products and services offered by a firm and its competitors, and identify potential customers. Develop pricing strategies with the goal of maximizing the firm’s profits or share of the market while ensuring the firm’s customers are satisfied. Oversee product development or monitor trends that indicate the need for new products and services. Job description: Plan, direct or coordinate activities in such fields as electronic data processing, information systems, systems analysis and computer programming. Job description: Plan, direct or coordinate activities in such fields as architecture and engineering or research and development in these fields.